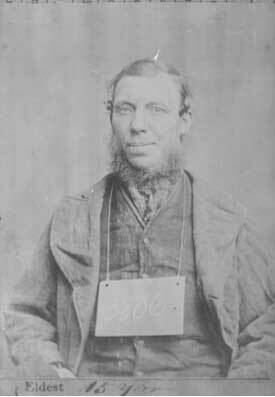 Here are some mug shots of prisoners in Aylesbury Gaol from the 19th century. These two young boys, both from Wolverton were convicted of stealing fishing tins and each given sentences of 14 days in prison. The top picture is of Edward Clark, aged 16 and below, Joshua Truman, aged 15. Both boys were apprentices in Wolverton Works. 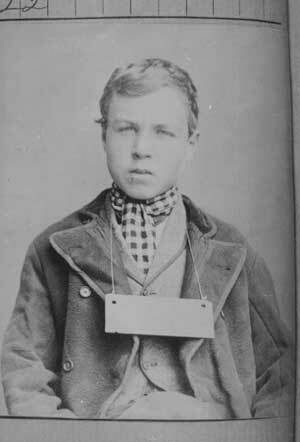 The date of sentence was 10th July 1873. Nowadays they would have been let off with a caution but in those days theft of any kind was taken very seriously. 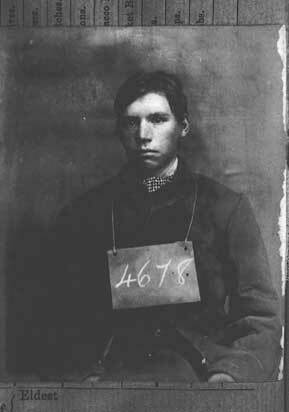 One of my great grandfather’s brothers was sentenced to 3 months for a similar crime in 1870 at about the same age. He also lost his job at Euston station. After this he emigrated to the United States where he was able to start afresh. He lived a long life and became an upstanding citizen, even mayor of his city. This man, also from Stony Stratford, is older – 36. 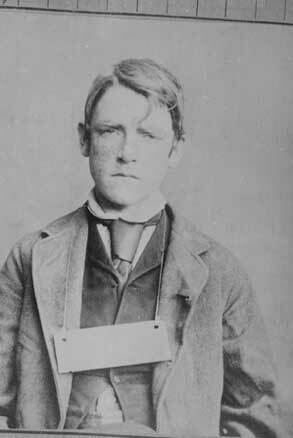 He was a tinman and on 5th April 1871 got 9 months for stealing brushes from his master.